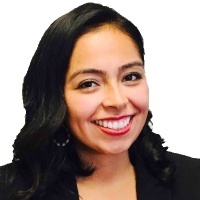 Jocelin Jimenez is the Economic Development Specialist for Orange County Business Council (OCBC), the leading voice of business in Orange County and the Southern California region. In her role, she serves as OCBC’s primary strategist for economic development community engagement, working to promote Orange County as the premier place to live, work and play. Jocelin also serves as a resource to the organization’s membership for information on economic development activities in the area relating to the county’s unique cross-cutting industry clusters, such as international trade, information technology, healthcare and biotech, advanced manufacturing, and more. A first-generation college graduate, Jocelin holds a Bachelor’s in International Business from Cal State, Fullerton with a concentration in Spanish. She volunteers at Helping Others Prepare for Eternity and resides in her hometown of Garden Grove.